Send red roses and white callas abroad. The perfect match! 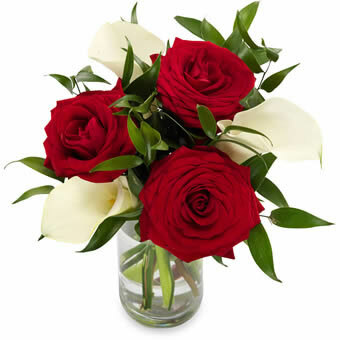 Classic red roses combined with stylish white calla lilies. A romantic and elegant gesture that are both original and timeless. A bouquet for the special moments in life. Vase not included.